Whether you’re looking to sell chic antiques or artifacts from your attic, The Raleigh Flea Market at the Historic State Fairgrounds is the place to be! We offer a wholesome, safe, family-friendly shopping environment that attracts tens of thousands of visitors each weekend who are shopping for all sorts of merchandise. 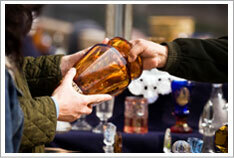 Thinking of renting a space at the Raleigh Flea Market? Please call us any time Monday – Friday and leave a message with your name, number and a description of what you are selling. We take reservations up to 2 weeks in advance for the weekend or for Saturday only. If you pay a full week in advance, the fee is lowered to $40 with no rainchecks or refunds. You may set-up your displays/tables/etc. on the Friday before the Flea Market weekend from 8:00 A.M. until 9:00 P.M. You may leave your merchandise in your booth for the entire weekend until 9:00 P.M. Sunday evening. We are in the office every Friday 9 A.M. – 5 P.M. and Saturday and Sunday till 6 P.
Would you rather not make reservations? Meet us at 6 A.M. Saturday or Sunday morning at the Dorton Arena Gate on Hillsborough Street and we will assign you a space! 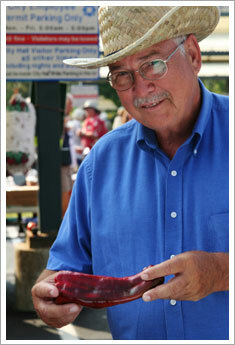 All vendors must be in their space by 8 A.M. and ready to sell from 9 A.M. – 6 P.M. Temporary Vendors to pay $50 a weekend cash/check or debit/credit card for a 10x20' booth and must park away from their booth. If you pay a week in advance for both days, the rent is reduced to $40, but there are no rain checks. Saturday only is $30/ Sunday only $25. Dorton Arena Gate #1 on Hillsborough Street will open at 6:00 AM Saturday and Sunday morning with remaining gates opening at 7:00 AM. Those that arrive after the morning check-in must report to the Raleigh Flea Market Office in the Education Building and be assigned a space. The office payment window will be open from 9:00 AM until 6:00PM and staff will make rounds in person. Arrivals after morning check-in may pay at the window (credit or debit cards accepted) or to management at the office in The Education Building - please keep your receipt. Only Food Vendors registered and approved by management may sell food. No animals may be sold or given away. No alcoholic beverages may be sold or consumed on premise. Nothing will be sold that is illegal or restricted in the State of North Carolina and/or deemed inappropriate by management. All Vendors are required to have a NC Dept. of Revenue sales tax number and refer all questions to NCDR 501 N. Wilmington St, Raleigh. Not responsible for injury, theft, violence or property damage or acts of God. The Raleigh Flea Market's Mission is to assure a professional market with family values and an atmosphere for the enjoyment of all vendors and the public. We accept Credit and Debit Cards as well as cash! Permanent outdoor spaces are also available. Please contact Flea Market Manager Marshall Stewart III to discuss this option!